This component is ideally suited to projects requiring controlled rotation. 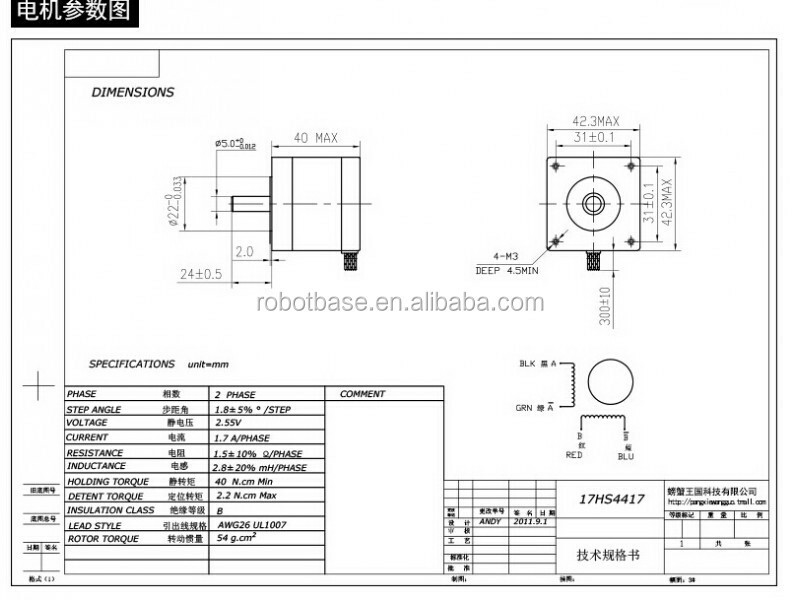 This is the 42BYGHW609 stepper motor designed to the NEMA 17 standard. These are compatible with the majority of 3D printer designs. 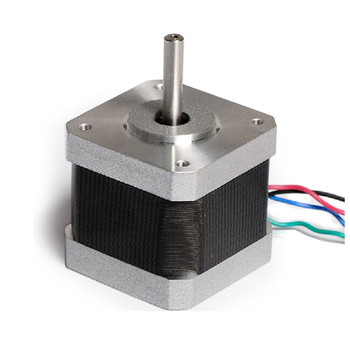 These motors have a high holding torque of 40Ncm making them ideal to handle the motion requirements of heavier machines such as 3D printers. Each motor has 4 leads that are pre stripped, ready to be attached to a connector of your choice. 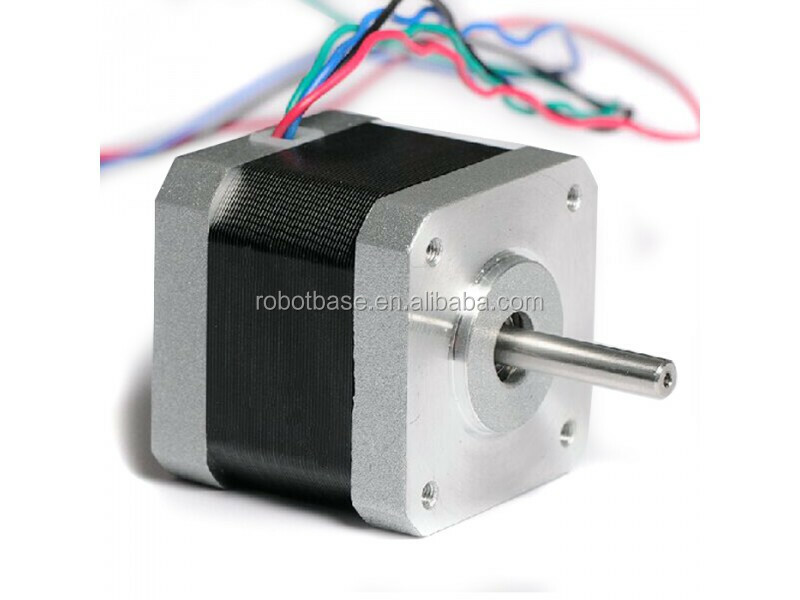 Stepper motors are the main type of motors used within CNC machines. They are used to drive the axis either on their own or in pairs. The main feature that makes them so special is the ability to accurately control the amount of rotation. 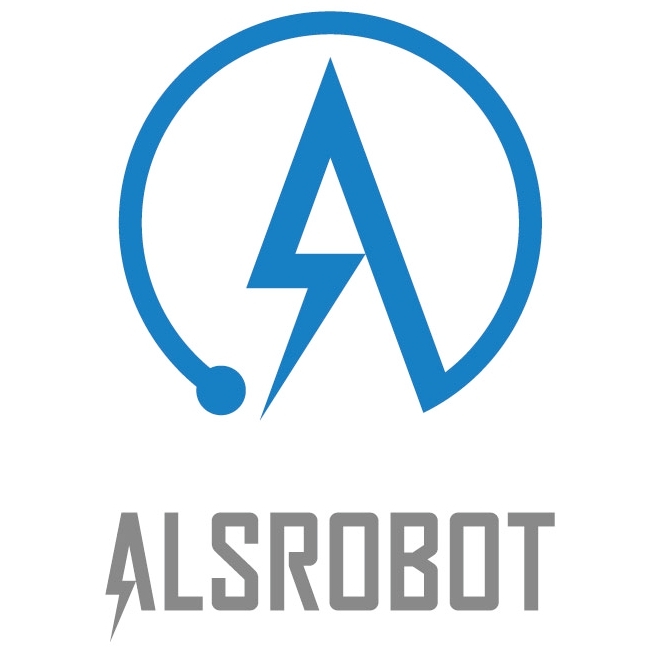 Each motor is connected to a driver board, which both powers and controls them. As such, no extra power connections are needed. 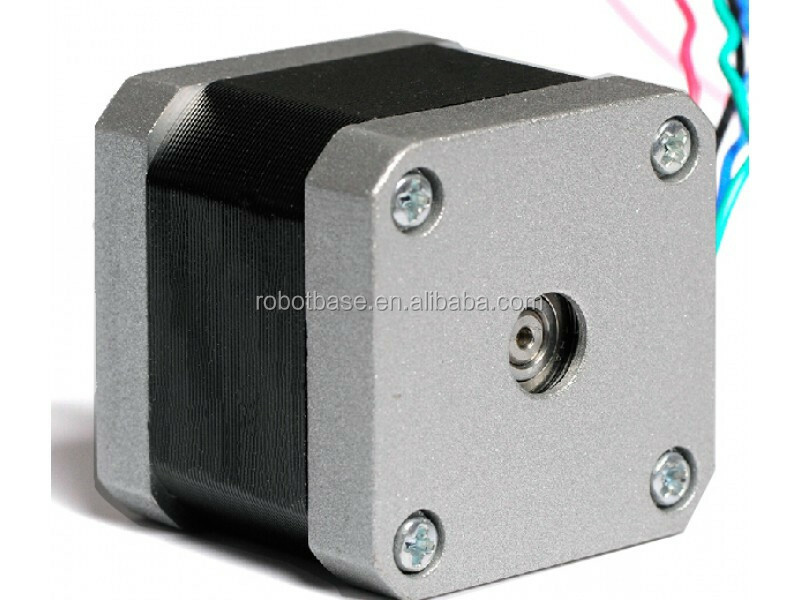 These motors are compatible with A4988 drivers such as those found on the REPRAP 3D printer. Please ensure that your project is compatible with the motors before ordering. If you have any other questions, please do not hesitate to ask.